1Click the Insert tab on the Ribbon and then click the WordArt button in the Text group. 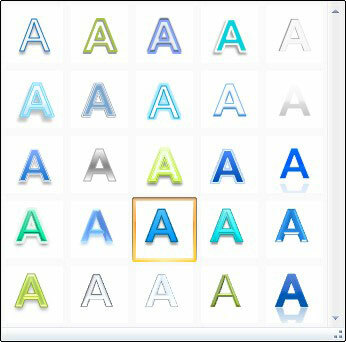 Clicking the WordArt button opens the WordArt Styles Gallery. 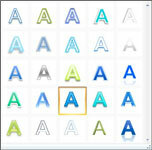 2Select the WordArt style you want to use. 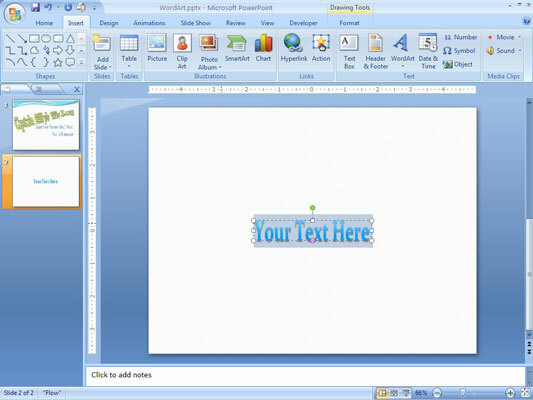 The WordArt text box is inserted on the slide. 3Click the WordArt text box and then type your text. Whatever you need to say, now’s your chance. 4Apply any other WordArt formatting necessary. That’s it! Your WordArt piece is finished.